That’s the word from orthopaedic surgeon, Kevin D. Plancher, M.D., M.P.H., a leading sports medicine specialist and clinical professor of orthopaedics at Albert Einstein College of Medicine in New York. He says recent studies have shown how physical activity in general – even if limited to weekends -- has a major impact on reducing incidence of disease and improving a person’s longevity. But, he warns that exercise gains can be washed out by injury unless weekend-workout enthusiasts take the necessary precautions to minimize risk, such as “warming up muscles, tendons and joints before engaging in strenuous activity; wearing the proper gear, including the correct shoes; and knowing personal limits. “Many injuries occur as a result of sudden increases in activity or abnormal movements before the body has been properly conditioned,” Dr. Plancher says. Meanwhile, “don’t believe the ‘no pain--no gain’ adage. If you feel pain, your body is telling you something is not right, and you need to stop whatever you are doing,” says Dr. Plancher, who treats common sports injuries, such as Achilles tendonitis, ACL tendon tears, rotator cuff and other shoulder problems, ankle sprains, shin splints and stress fractures, hamstring and groin pulls, knee injuries and lateral epicondylitis, or “tennis elbow,” caused by repetitive motion. Dr. Plancher’s comments follow the 2017 release of two major studies indicating the connection between physical activity – even though it is somewhat limited – and a significantly lower mortality rate. In the March 2017 JAMA Internal Medicine, researchers report that the “weekend warrior” approach to exercise, characterized by one or two weekly sessions of “moderate or vigorously intensive physical activity, may be sufficient to reduce risks for all-cause, cardiovascular disease and cancer mortality, regardless of adherence to prevailing physical activity guidelines,” which recommend regular exercise throughout the week. Authors of another 2017 published report – this one in the Journal of the American Geriatrics Society – state that physical inactivity, often called a “sitting disease,” is linked to more than 3 million deaths worldwide annually. Dr. Plancher says that weekend warriors “can up the exercise ante” during their normally busy week by spending a few minutes each day doing some stretching – either in the office or at home, climbing stairs rather than riding the elevator and occasionally swapping a cafeteria or restaurant seat for a brief walk at the lunch hour. “Avoid sitting for long periods of time. Take a break; get up and move about. Regular engagement of muscles and joints is not only healthy, it can help reduce the incidence of injury when participating in a sport or a workout regimen on the weekend,” he says. While some soreness in areas of the body not fully accustomed to strenuous activity is normal for weekend warriors, ongoing pain in a joint, limb or tendon is not and should not be dismissed, Dr. Plancher emphasizes. “If you have serious pain that does not respond to rest and home treatment; see unusual bruising or discoloration of the skin in a painful area; or cannot put weight on a leg, ankle or foot, contact your physician immediately,” Dr. Plancher says. Maintain a healthy weight level. For example, research indicates that the rising rate of obesity among individuals under age 65 is related to an increase in knee-replacement surgeries. Eat well-balanced meals that provide necessary nutrients to strengthen muscles and tendons. Know your sport. If necessary, get some lessons from a professional or talk to a trainer. Improper playing technique and posture are oftentimes to blame for injuries. Participate in varied activities. Doing the same type of exercise over and over can put undue stress on specific areas of the body and cause repetitive motion injuries. Wear shoes and use equipment proper to the activity. Act your age. Don’t expect to do at age 60 what you were doing at age 30. “Simply put: be smart in your approach to sports and exercise, so that you can maintain a healthy level of activity well into old age and have fun doing the exercise or sporting activity,” Dr. Plancher says. Kevin D. Plancher, MD, MPH, is a board-certified orthopaedic surgeon. He founded Plancher Orthopaedics & Sports Medicine and serves as clinical professor of orthopaedics at the Albert Einstein College of Medicine in New York. 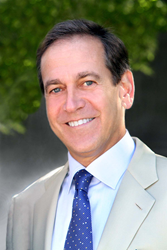 Since 2001, he has been listed annually in the Castle Connolly directory as a “top doctor” in his field.